Ah, yes, another Simple Creatures review. Are you surprised? 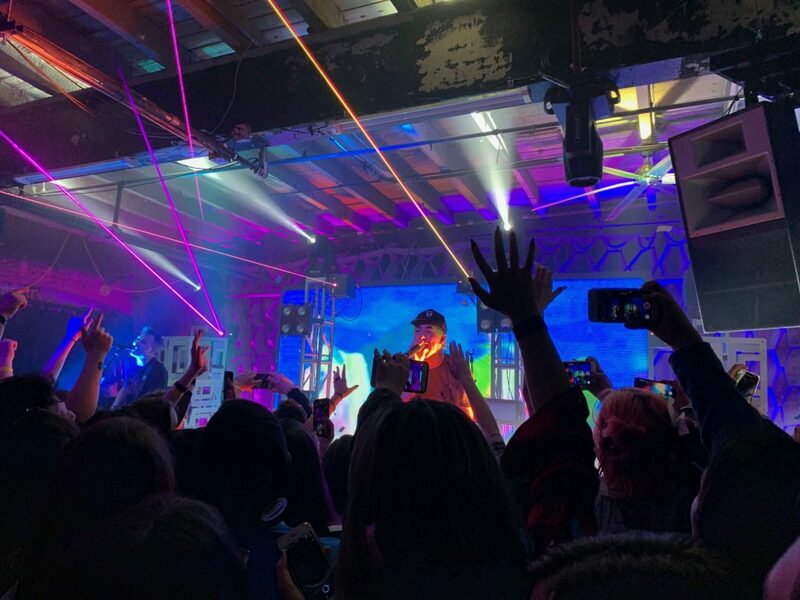 On Sunday, March 31, the new duo performed at Warehouse on Watts in Philadelphia, in celebration of their new release, the “Strange Love” EP. 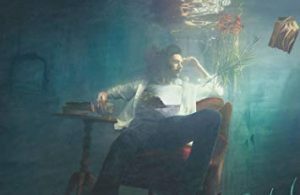 There are a few things to say about their live performance and the new EP, and hopefully this review will bring to light some of the things that haven’t been discussed. 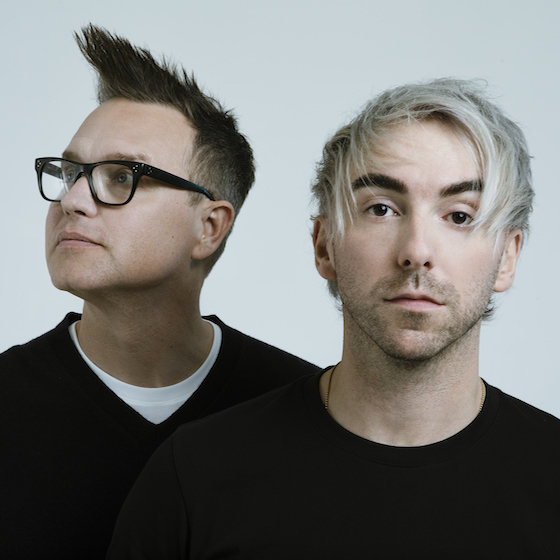 Simple Creatures is a new group containing members Mark Hoppus and Alex Gaskarth, names that should be familiar. Hoppus is known for his singer/bassist role in blink-182 (blink), and Gaskarth as singer/guitarist in All Time Low (ATL). The two announced this new project at the end of January, and have already performed a few shows, covering California in two shows, one in Philly, one in NY, and then one over in the UK in London. What does this group have to offer, you may wonder? Well, I’ll get into a breakdown of their released EP in a moment, but there’s something else I want to cover first: how this new project is breathing something new into both Hoppus and Gaskarth. As someone who has seen All Time Low at least once a year since 2013, I can speak to the fact that for the past few years, Alex has lost energy within the group. This is not a note on his talent. He always brings his a-game performance-wise. Yet something about his and Mark’s new dynamic, and just the new set up of Simple Creatures (Gaskarth not always on a guitar/vocals like he is in All Time Low) has breathed life back into his on-stage presence. 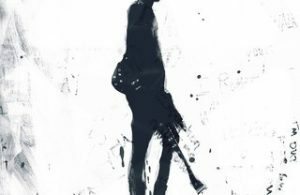 He handles multiple components, including guitar, bass, and sample pads, along with vocals. Maybe “life” is the term to go with to describe what’s different with his onstage presence: Enjoyment. A little bit more energy. And he’s clearly having a blast. 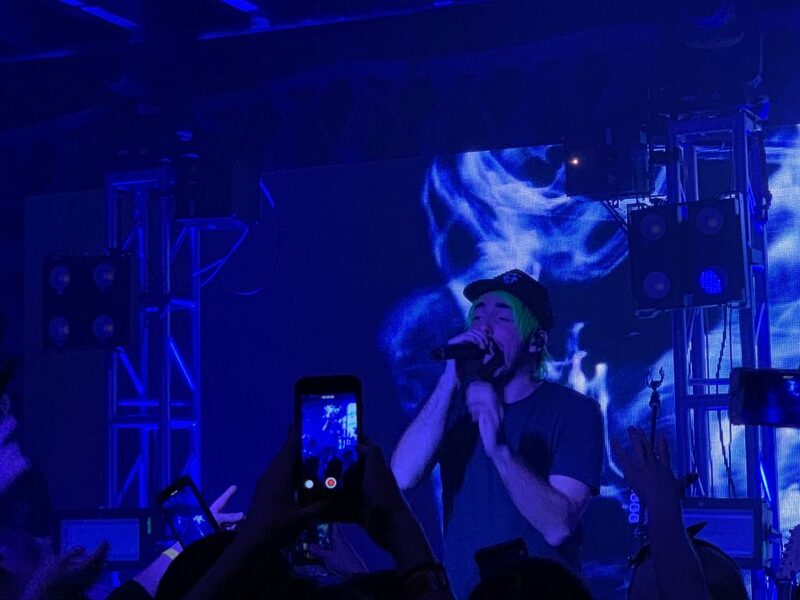 Alex Gaskarth singing song “Ether” in Philadelphia. Maybe it’s been the countless tours that ATL has done over the years, or maybe it’s because Gaskarth has had a break since his last live performance with All Time Low, but I was surprised to say the least to watch this newfound energy. It’s refreshing to see from a performer, especially one who’s a favorite. The refreshed energy has me confident that this new band is more than a temporary thing (and they have said as much, but the performance definitely reassured). Looking at the other half of this duo, I also feel this energy has affected Mark as well. Their stage performance—with the songs and dialogue— is reminiscent of what Mark once had with Tom DeLonge (former singer/guitarist of blink-182). Although there is understanding as to why blink-182 and Tom parted ways due to their creative differences, the playful, entertaining dialogue between songs has suffered as Tom’s replacement, Matt Skiba, focuses more on song performance rather than interacting with Mark in-between. It’s interesting, because witnessing Tom and Mark’s dynamic at the Honda Civic Tour in 2011 made me realize how much that chemistry was mirrored between Jack and Alex in All Time Low when I first saw them in 2013. It’s almost as if Mark is again meeting his humorous other half with Alex, now in Simple Creatures. 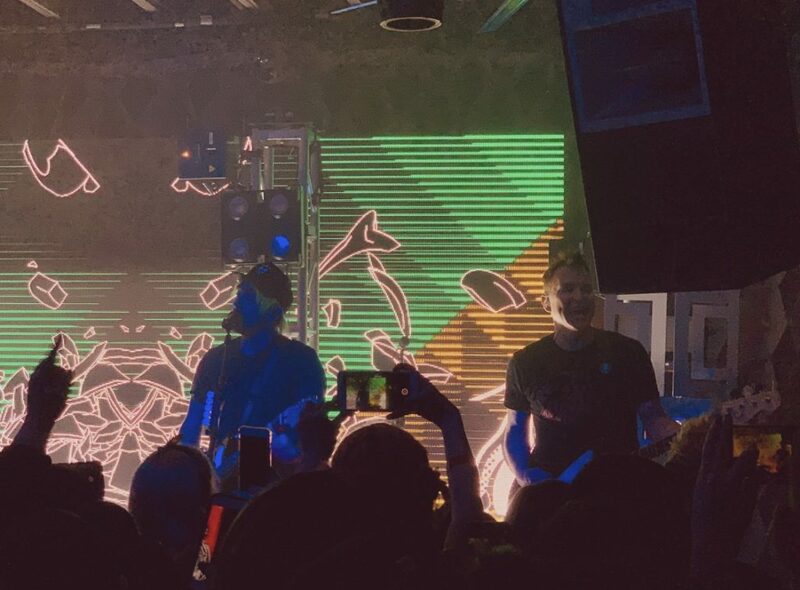 Gaskarth and Hoppus performing at Warehouse on Watts. Many people are quick to compare this duo to The Cure and Nine Inch Nails, two of the many influences the group said have inspired them. But what about their other own bands’ influence? Why has no one compared there? Or the fact that they are doing something completely different sound-wise that can’t be compared? 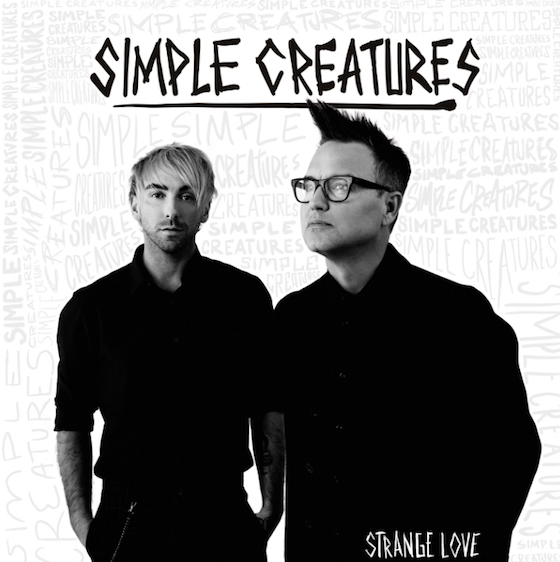 Simple Creatures “Strange Love” EP could be argued as a spin-off of what All Time Low produced with Last Young Renegade (LYR), and the duo’s influence could also go all the way back to blink’s Enema of the State. But at times, it’s hard to determine if the songs compare to anything; taking on a new identity of their own. Let’s start with the first song on the “Strange Love” EP, and their first single, “Drug.” As soon as this song came out, many listeners seemed skeptical on social media. With the repetitive “Na na na na na”’s throughout the song, it almost seemed like just another blink-182 track. Can’t talk about this song without mentioning “All The Small Things,” can we?, as it also has that “Na na na na na” line. But while there are similarities, “Drug” brings something different. As opposed to the cookie-cutter pop punk sound all the way through “All The Small Things,” “Drug” is more raw and gritty with the instruments. It is one of the more “rock” songs on the EP, but name one blink-182 or All Time Low song that reflects it all the way through. You can’t. And, hey, while the listeners were skeptical at first, apparently that didn’t last long, seeing as the duo’s first five shows each sold out within minutes. Stay with me on this one. “How To Live” would be like if All Time Low’s songs “Edge of Tonight” and “Nightmares” had a baby. Look at me going back even farther and bringing the Future Hearts album into this by referencing “Edge of Tonight.” There’s a love component to “How To Live” like with “Edge of Tonight,” along with it having a ballad-like vibe, but at the same time, it has this dark side to it that fits alongside the mindset of the song “Nightmares.” The music to “How To Live” itself is also reminiscent to these two songs, having a synth-y, electronic vibe. The duo had a laser-filled performance. 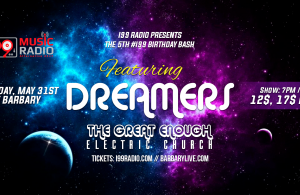 If you’re in a lethargic, mellow mood, “Ether” is definitely a go-to. This is this EP’s “Adam’s Song” if you will, and in fact, during the live show in Philly, the duo admitted that this song was written during one of Mark’s sadder moments. This fits right in with “Adam’s Song” from Enema of the State, which was also inspired by sad incidents: loneliness Mark experienced on tour, and a suicide he read about. In regards to the overall EP, Mark said, “It only took me almost killing myself to get here,” at their Brooklyn show on April 1. This song is definitely further proof of that depressive mood he experienced. I can’t be the only one wanting to meet the girl that inspired “Lucy,” aka producer/writer of the song, Zakk Cervini’s, girlfriend. I mean, c’mon. Discussions of robberies, police, and a scarred heart? This girl sounds like a badass. And Cervini clearly wants to be a part of that badassery by being her getaway car driver. Looking outside the lyrics, the beat and format of this song don’t follow the rest of this EP, making it hard to compare to anything by All Time Low or blink-182. But to pick a somewhat comparison, Gaskarth does the speak-sing thing like he does in the pre-choruses of this song in LYR’s “Life of the Party” as well, just with the first verse, second verse, and the bridge instead. This is probably just me, but I can also see a parallel between this song and “Drugs & Candy,” with similar song messages, and each song being about a push and pull relationship that could be so sweet at moments and yet so sour at other times. 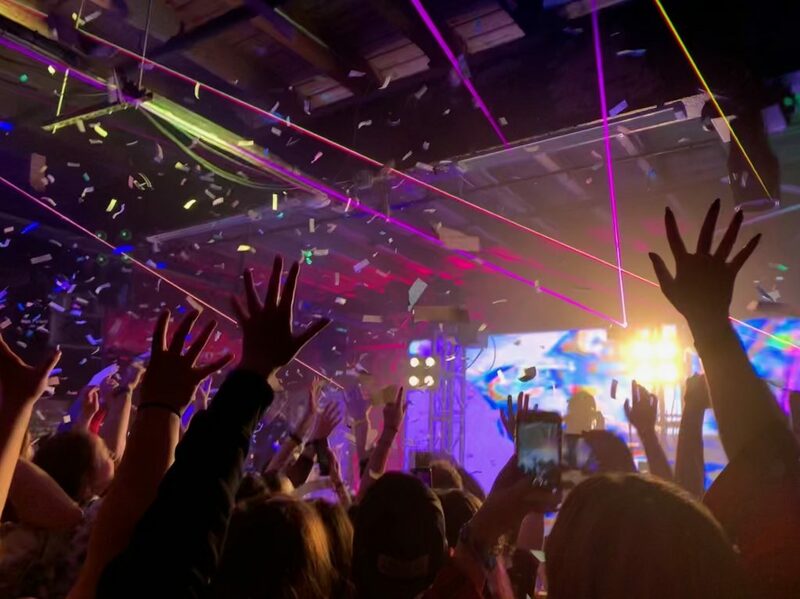 Crowd having a blast at the Philadelphia show. This duo brings enjoyment not only with the recorded music, but to their live shows as well. It’s easy to tell they’re both into this project, and if influence comes from their previous work, who cares? These are the same creators, so some similarity is bound to be expected. Yet considering this, the group is still bringing something new to the table in regards to sound, which was their original goal as they have stated in several interviews. They seem genuinely proud of what they are creating, so how can fans not support that? As of now, their next scheduled performance is at the Download Festival in June. You can find out more on that here, and be sure to check out Simple Creatures’ website and their new EP “Strange Love” here.